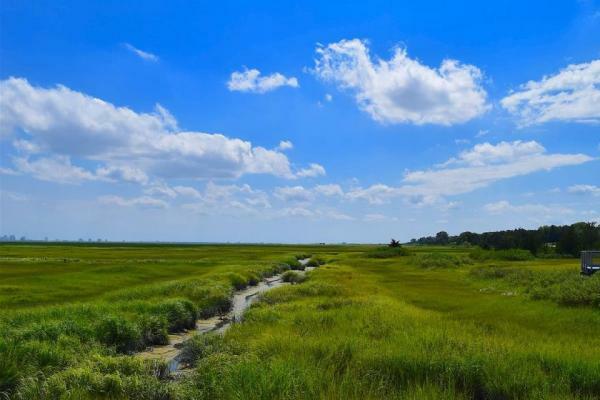 Sept. 12 (UPI) — If coastal wetlands are to survive climate change — and continue to provide a bounty of ecological benefits — they most move inland, according to a new study. Previous studies have suggested many coastal wetlands are likely to be wiped out by encroaching salt water as global warming accelerates sea level rise. But new analysis suggests many marshes and mangroves could be saved if they were able to move farther inland. That’s good news, as wetlands help absorb excess CO2 and serve as a vital buffer against damaging storms and flooding. Some studies have shown wetlands save hundreds of lives and millions of dollars. To better understand the fates of coastal wetlands, an international team of scientists collected and analyzed data from the around the world. Researchers looked at coastal topography, tide charts and localized sea level rise prediction models. Scientists also studied sediment availability and the accessibility of inland acreage. Their analysis — published this week in the journal Nature — provided several new insights into the future of coastal wetlands. First, even if humans do nothing, wetlands are unlikely to suffer the catastrophic losses predicted by some studies. Some researchers have predicted up to 90 percent of Earth’s wetlands could be wiped out by climate change. Because some wetlands will naturally grow, as well as move higher with the help of sediment accumulation, losses are unlikely to top 30 percent through the end of the century. Even more promising, the research showed wetland gains of up to 60 percent are possible if humans ensure a large percentage of wetlands have space to grow. “Rather than being an inevitable consequence of global rising sea levels, our findings indicate that large-scale coastal wetland loss might be avoidable if sufficient additional space can be created by increasing the number of innovative ‘nature-based adaptation’ solutions to coastal management,” Mark Schuerch, a geographer at the University of Lincoln, said in a news release.